The name Bally is familiar to the most casual casino player. Hot Shot, Cash Spin, Money Talks and of course the legendary Quick Hit series were all designed and produced by Bally Technologies. At the time of their last report, the company market share in North America was 18%. That means that on average every 5th spin in USA and Canadian casinos was done on Bally slot machines. Surprisingly, Bally is not an independent company. In 2010 they were acquired by SG (Scientific Games), the owner of WMS and Barcrest, for 5.1B dollars. That’s $5,100,000,000! 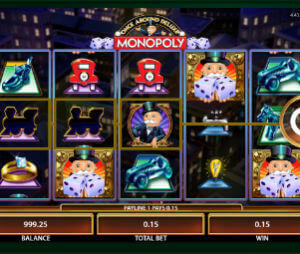 Since then they operate as a subsidiary of SG and keep developing new and exciting slot machines. When it comes to payouts, Bally aren’t the most generous games. The RTP ranges between 92% to 96+%. That’s higher than in land based casinos, but lower than what some of the best WMS, Barcrest, Playtech or Microgaming slots have to offer. Here are the best of the bunch. The payout on those slots stands below 94%.